For those people who have had a credit card for more than a few years, it could be time to start thinking about whether the card you currently own offers all of the benefits you want. 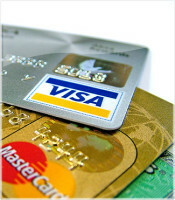 For more established consumers, an option that is available is a Platinum card. Platinum cards generally offer more benefits over standard “classic” or “Gold” cards, but have correspondingly different restrictions. What baffles me is why do platinum cards look less fancy than gold cards? I think the coolest looking cards are the black Amex cards. How in the hell did you get a platinum @ 20? I didnt get my 1st platinum until i was 30. Sounds like mommy and daddy chipped in somehow. I’ve just turned 20 and have a MBNA platinum mastercard. There isn’t much difference with Paltinum and Gold. My Platinum has car rental collison/damage waiver insurance coverage and 2% cashback. Both these features are commonplace on gold cards. Having too many credit cards increases the amount of available credit which can hurt you when attempting to get things like a car or home loan. Having 7 is not good. At most i think 3 is best. I get numerous offers to join new credit cards every month. I have about 7 cards and although i am sure my credit score has taken a hit for signing up to them i find the end result (low interest rates or gifts) worth it.